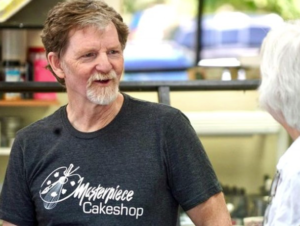 Jack Phillips of Lakewood, Colorado refused to bake a cake to celebrate a gay marriage. The citizens who wanted the cake took the matter to the Colorado Civil Rights Commission. This is a case in point for the book I’m writing about separation of church and state. Laws designed to separate church and state often violate the free exercise clause of the first amendment. This is a prime example of how that works. So I’m a beaver and I have rights to make beaver lodges. Then along comes this coyote who says he wants me to build a beaver lodge for him to live in. Well, I think it’s a dangerous heresy for a coyote to live in a beaver lodge. But the law will punish me if I don’t build it. So what’s the problem? Let’s look at this a bit. The law is making me responsible to build this coyote a beaver lodge. 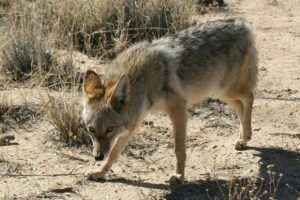 I have a sign hanging in my lodge construction shop that says, “No shoes, no shirt, no lodge.” That worked for many years but I didn’t think to say “no lodges for coyotes”. 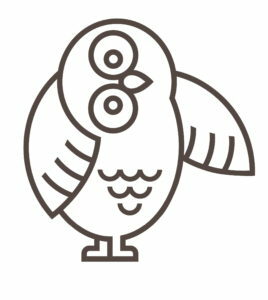 Oh yes; and I had another sign by the main entrance that said, “I reserve the right to refuse service to anyone.” That reminded people that my lodge shop was my business, I was the owner and I had rights. So that’s one thing. But the big issue here is slavery. My wife Charlet figured this all out many years ago in the context of marriage. During a substitute teaching stint at a local high school, the discussion turned to the plight of “trailing wives” who have to go where their husbands take them. She hit the nail on the head when she said, “If the husband has the responsibility to provide for the family and doesn’t have the authority to choose where and how to do it, he is a slave. Responsibility without authority is slavery.” And then she added, “And, authority without responsibility is tyranny.” That describes both sides of slavery: the slave and his dictatorial master. In the present case, the law has made Jack Phillips responsible for making a certain cake and insists that Jack lacks authority to choose how he will operate his own business. The familiar sign “We reserve the right to refuse service …” is illegal in Jack’s shop. So have anti-discrimination laws reinstated slave labor for Jack? Then the law is discriminating against Jack. In the early days of the US, there was a culture that allowed people to own one another. The slave was the “property” of his master. The owner gave responsibilities to his “property” and expected the slave to handle them. The slave didn’t have the authority to say “no”. If he did the law would support his master in punishing the slave. We had a very bloody civil war over this. There are grounds here for a claim of unconstitutional law. There is also great irony in this case. It was the Colorado Civil Rights Commission that filed suit against Phillips. During the public hearings on the case, some of the commissioners compared his description of his religious beliefs to a defense of slavery. Slavery? This sounds like bullying to me. Affirmative action laws are inherently discriminatory. They define classes of citizens (in a supposedly classless society) and discriminate between those classes. It is impossible for a law to “protect” the rights of one citizen without violating the rights of another because they are henceforth unequal under the law. 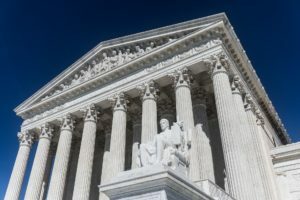 “The government, consistent with the Constitution’s guarantee of free exercise, cannot impose regulations that are hostile to the religious beliefs of affected citizens and cannot act in a manner that passes judgment upon or presupposes the illegitimacy of religious beliefs and practices. 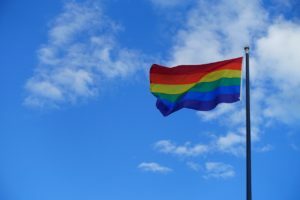 “As a gay woman who has been involved in efforts to ensure the equal treatment of gays and lesbians, I remain appalled at how the liberal gay activist agenda has become exactly the same thing the original gay civil rights movement fought against. The gay rights movement originally was an effort for us to be left alone and to not be punished for who we are. We simply wanted to be able to live our lives without fear of arrest, or our businesses raided or destroyed, because of who we were.